Bangkok is one of Southeast Asia’s most exciting places. This city is beautifully traditional and jarringly modern, all at the same time. You can cast your gaze on the skyline and see gleaming skyscrapers interspersed with carved wooden architecture. Bangkok’s distinctiveness is in its inherent dichotomy. One side is filled with beautiful temples and streamlined modern buildings, while the other side shows the sometimes shocking brashness of entertainment shows on the sidewalks of Bangkok. The city is a pulsing sea of sound and color. You can experience the nightlife at Bangkok in Backpackers Row, which is essentially a party strip where DJs blast music. Here, you can also find Ad Here, a blues club frequented by a lot of seasoned travelers. The city’s nightlife may sometimes run from hip to gaudy, but one thing’s for sure, it is never boring. If you prefer a more sophisticated experience, you can make your way to the State Tower and sip a cocktail while overlooking a 360-degree view of Bangkok’s urban landscape. The quieter side of Bangkok is a treat, as well. You can visit WatPo and content yourself with looking at an extensive array of large Buddha statues. You can also experience traditional massages amidst the curling smoke of incense to relax your senses. Enjoy dinners at the Amphawa Floating Market. Although it is quite far from the popular floating markets, many people choose to dine here because there are less tourists. Plus, it boasts the best authentic food. There are a lot of things to explore and experience in Bangkok, Thailand. There are roughly 400 temples, which are draped in ceremonial smoke and murmured chants, standing in stark contrast to the bustling modernity of glass and steel skyscrapers. This city is open to life and offers new and novel things for any person who wants something a little unorthodox. You can come and visit anywhere between the month of November and early April to avoid the monsoon rains. Thailand is most famous for its temples and their remarkable architecture, and it’s rare that you’ll hear of tourists visiting the country for framed arts. But if you’re an art connoisseur or a serious lover of art with a discriminating taste, you won’t leave the National Gallery of Thailand disappointed. 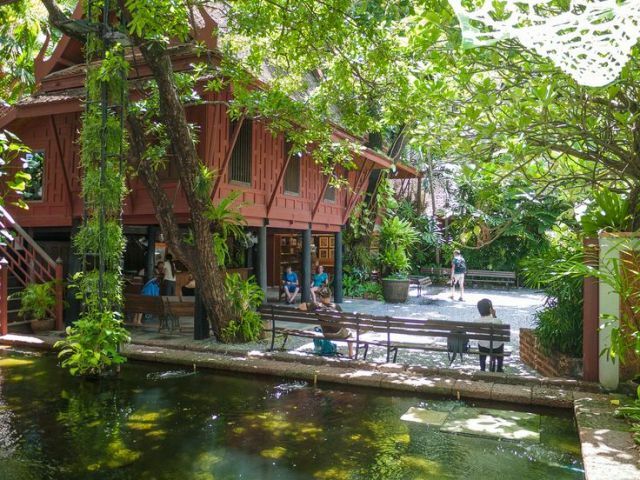 The Jim Thompson’s House, home of James H.W. 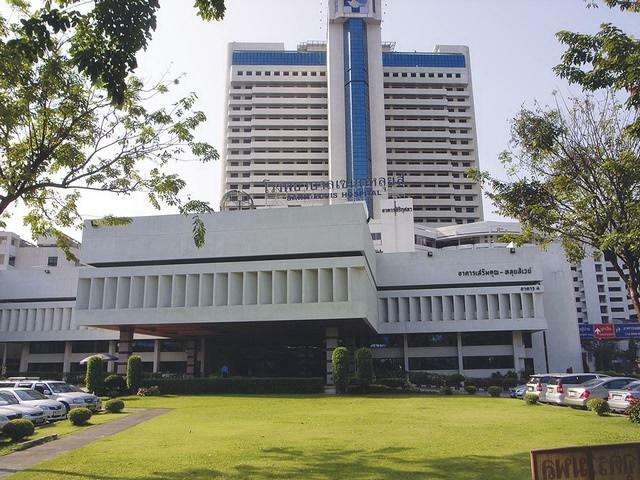 Thompson, is located in King Rama I Road. 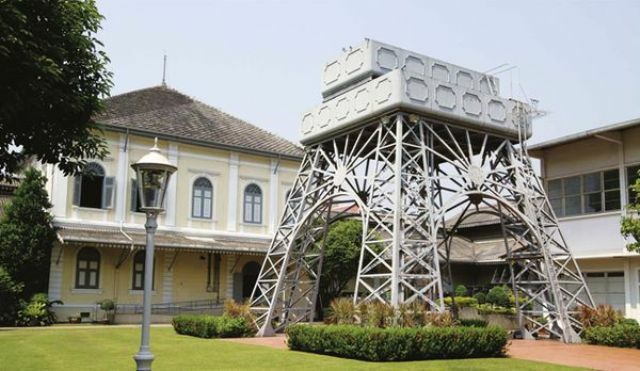 It’s one of the most popular tourist attractions in Bangkok showcasing its owner’s art collection. It’s also a perfect example of a traditional Thai house. About the Jim Thompson’s House. Whether you’re in Bangkok for business or vacation, you will want your days full of the most popular activities in Bangkok. Even though Thailand is a hot country and staying indoors and within the air-conditioned room of your hotel will be tempting, Thailand’s exotic charm will beckon you outdoors. And you will not run out of things to do either. Here are the top six most famous activities among tourists that are worth looking into. Squeeze some in between your busy business schedule or make sure your time-limited vacation includes all of them. The choice is up to you! Planning a safe holiday in Thailand? You need not worry about your health in Bangkok while you’re having your vacation. Bangkok is not only famous for its colorful shrines and temples, it is also fast becoming a top medical tourist spot in the world. The Grand Palace in Bangkok is probably the most popular tourist landmark in the country. 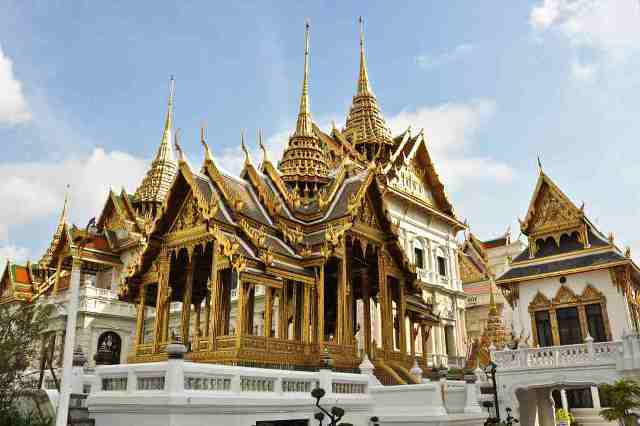 In fact, locals often claim that a Bangkok tour is not complete without a tour of the European-Thai-inspired architectural achievement that is the Grand Palace. It used to be the home of Thailand’s Kings, with the Wat Phra Kaew or the Temple of the Emerald Buddha as their private place of worship. 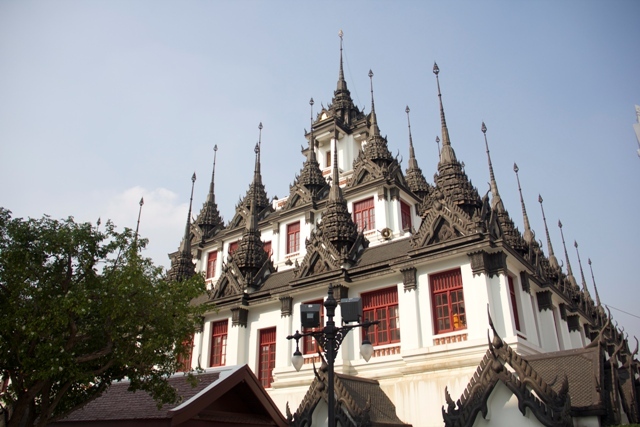 It was constructed in 1782 during the reign of King Rama I, and has served as the monarch’s residence and seat of the government for 150 years. Today, the Kings of Thailand no longer do live in the Palace, but it’s still the venue for most official celebrations, ceremonies, state banquets and other formal royal rituals including deaths, marriages and coronations.